A rare thing indeed, whisky from the Czech republic! Interestingly enough, this whisky was distilled when the country was still behind the iron curtain, something the bottling seems to celebrate with its star-based font. Little is known about this dram, but the label does reveal a few secrets: we know that the whisky was matured in 100% Czech oak, and produced by Prádlo Distillery, under the management of Václav Šitner, and out of 100% Czech Barley. Prádlo is a tiny village of around 200 people that lies to the south-west of Prague, and through which the Úslava river runs. At the time the distillery was nationalised, and milled their malt with a Hammer mill. An interesting whisky all round, but how does it taste? 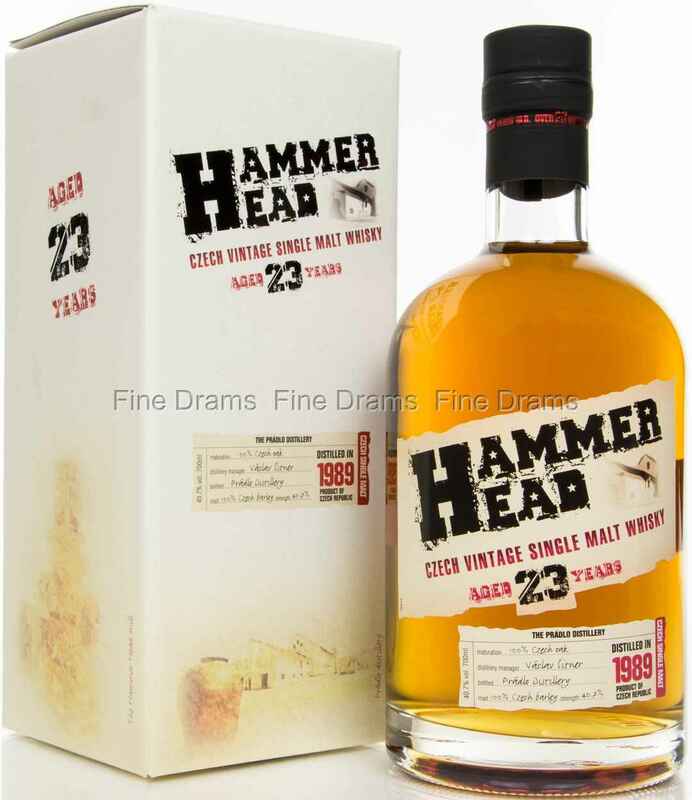 This is a cereal forward dram, with the flavours of the Czech malt taking the fore. Orchard fruit notes of apple and pear accompany these malty notes, as does a growing cask presence of vanilla, nutmeg and dusty oak. The palate is buttery and medium, whilst the finish serves up slightly earthy, savoury notes. A real rarity, and an interesting, yet tasty, whisky at a good age.